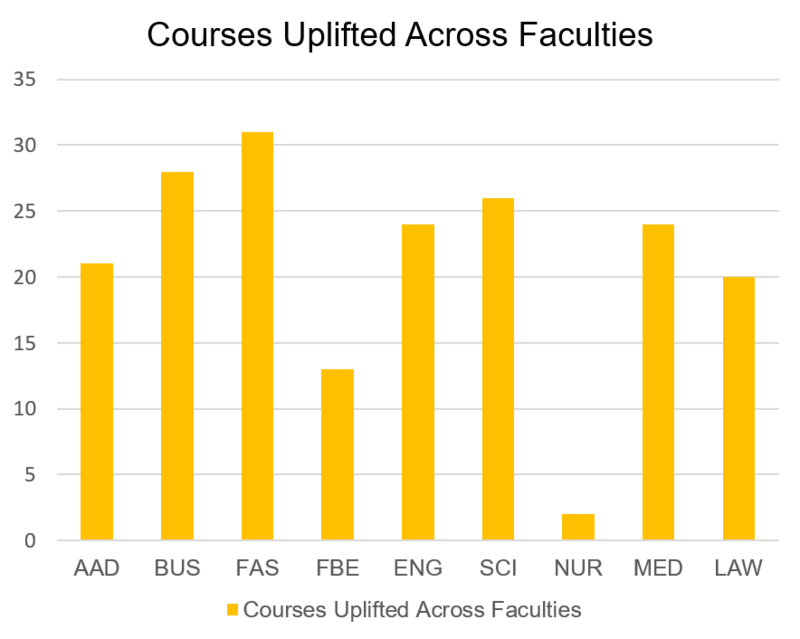 The Digital Uplift initiative will enhance over 660 courses across the university for blended and fully online delivery over 5 years to improve the student experience and learning outcomes. This involves considerable improvements in learning design, digital capability, from enhanced integration of media and technology to a redesign of courses for a more flexible and personalised learning experience with support for active and student-led learning spaces. Aligned with the 2025 Strategy, this initiative is a partnership between the Office of the Pro-Vice Chancellor (Education) and all the faculties and students at UNSW. The educational design and development process runs through approximately 15 weeks. The structure has been refined over the past two years in partnership with the PVCE team by approximately 100 academics going through Digital Uplift.